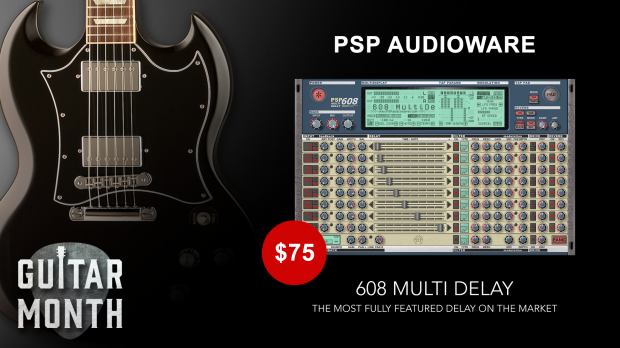 PSP 608 MD is perhaps the most fully featured delay plug-in available on the market. PSP Audioware has striven to offer you a creative tool that is not only functional, but inspiring. It is packed with features that other delay plug-ins on the market don’t have. Each tap has selectable feedback, stereo image and position, delay time, multimode filter, modulation, drive/tape saturation, and reverb. Moreover, the feedback and drive can be placed at the beginning or end of the signal chain for even more sound design options! The modulation section consists of both an LFO and Envelope follower, and the tape saturation algorithm is taken from our renowned mastering processors. And of course all this can be done at any bit depth and sample rate up to 24-bit, 192kHz, and be fully automated via MIDI and any host sequencer. This entry was posted in DontCrack, Plug-ins, Promotions and tagged 192kHz, Band Pass, delay time, filtering, High Pass, Low Pass, Modulation, Multidelay, Multitap, PEAK filter, PSP, PSP 608 MD, PSP Audioware, saturation simulation. Bookmark the permalink.